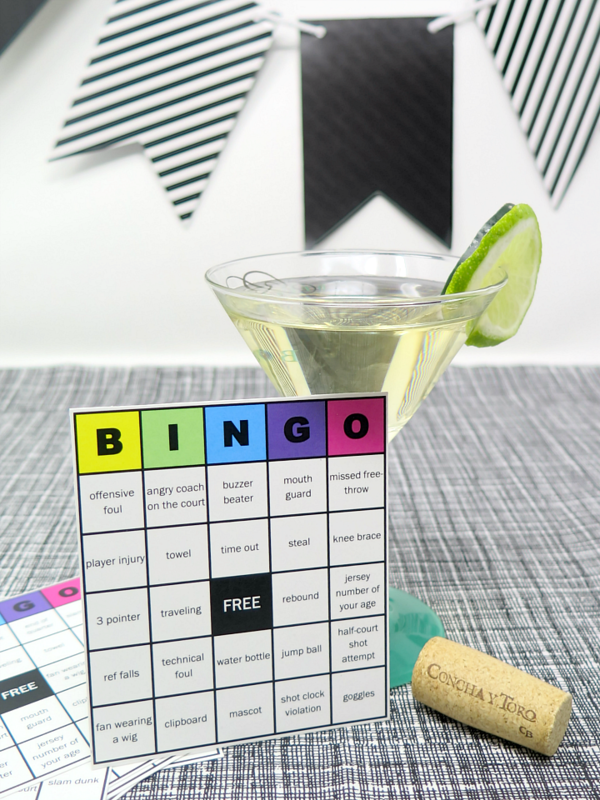 This Basketball Bingo Printable is Perfect for your Playoffs Party! I LOVE hosting parties. ANY parties. And tis the season for basketball, so that’s how we’re going to party. Although admittedly a game day party wouldn’t at the top of my list. 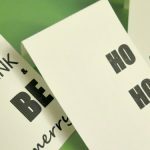 But since we end up inviting neighbors to stop by for big games, I wanted to make it a little bit more festive than the typical beer & pizza style gathering. 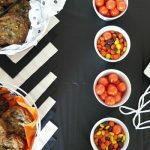 Not only did I whip up a fun wine cocktail (scroll down for the recipe) and a light brunch spread, we threw in a basketball version of Bingo to keep everyone entertained. Aka – keep ME entertained when watching basketball. Joe knows I’m losing interest when I start scrolling through Facebook during sporting events. Ops. To get the competitive juices flowing, everyone contributes one dollar into the pot before the game started. 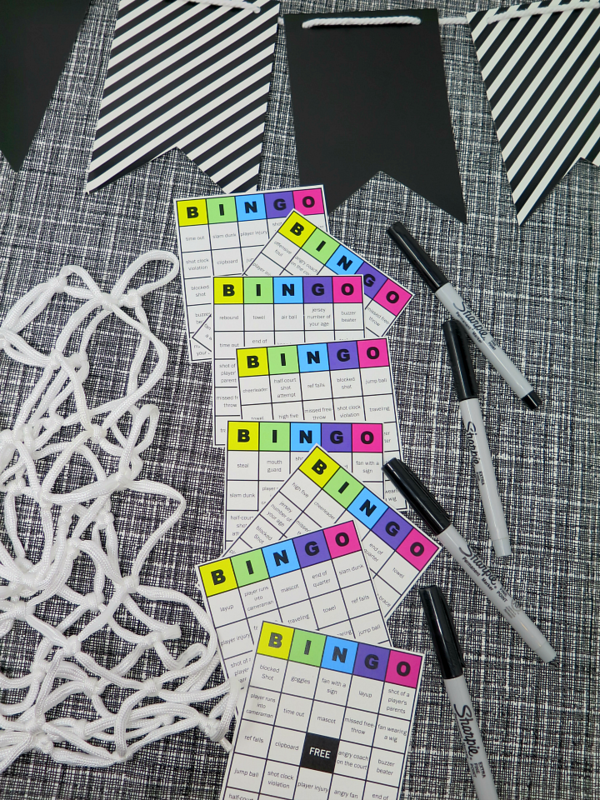 Whoever gets Bingo first gets ½ of the pot. 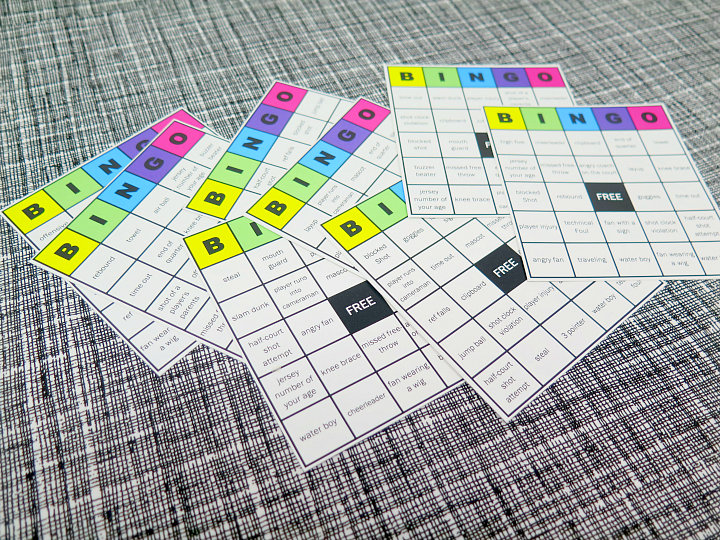 The second Bingo winner gets ¼ of the pot (which is half of the remaining pot) and the 3rd Bingo winner gets the final ¼ (the remaining money in the pot). 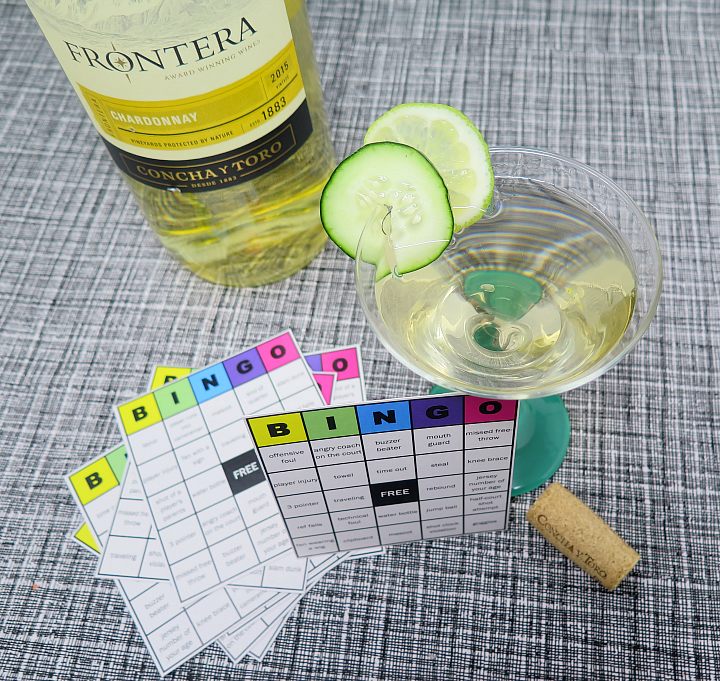 As traditional Bingo goes …. The first person to get 5 in a row wins! 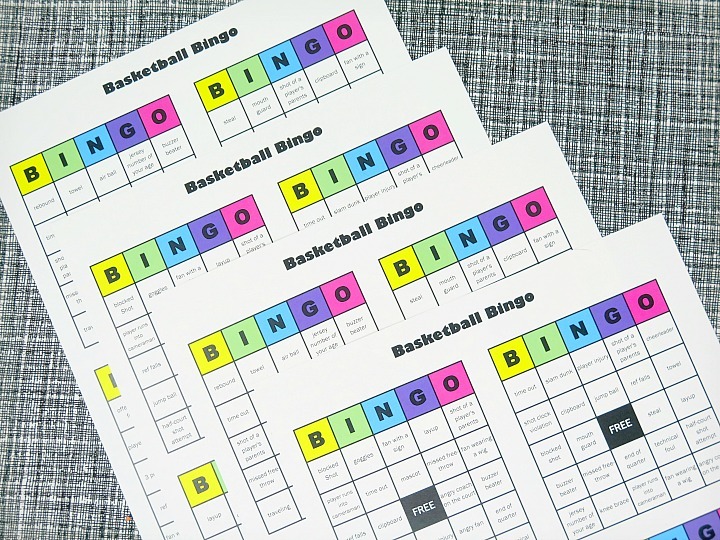 We printed off stacks of these basketball Bingo cards and played a couple rounds throughout the game. Now let’s not forget about the beverages! 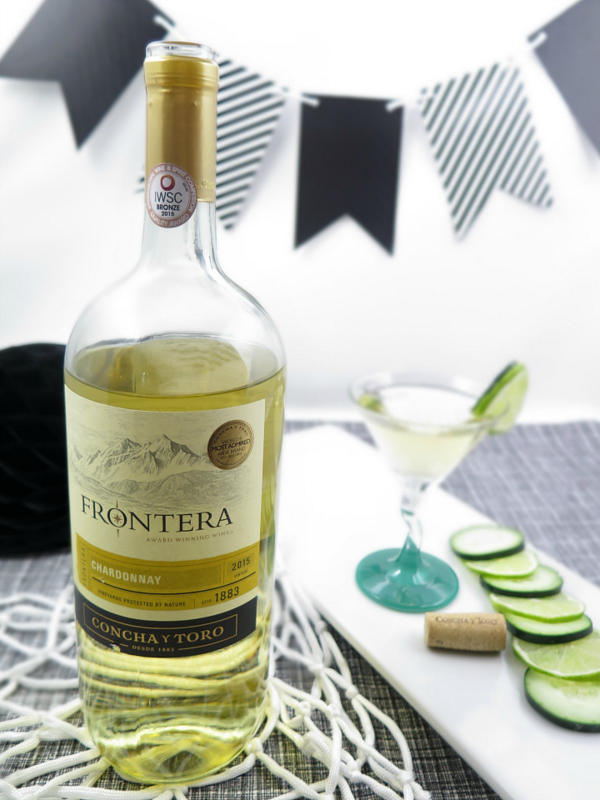 Frontera has created some amazing cocktails featuring their wines. 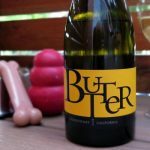 I selected the Chardonnay recipe to serve for our party, but honestly, these all looked good! Frontera has an awesome sweepstakes going on right now to win a 55” HD flat screen TV! Check out the details here, show your spirit for sports and you could be watching next year’s playoffs on a new huge TV! 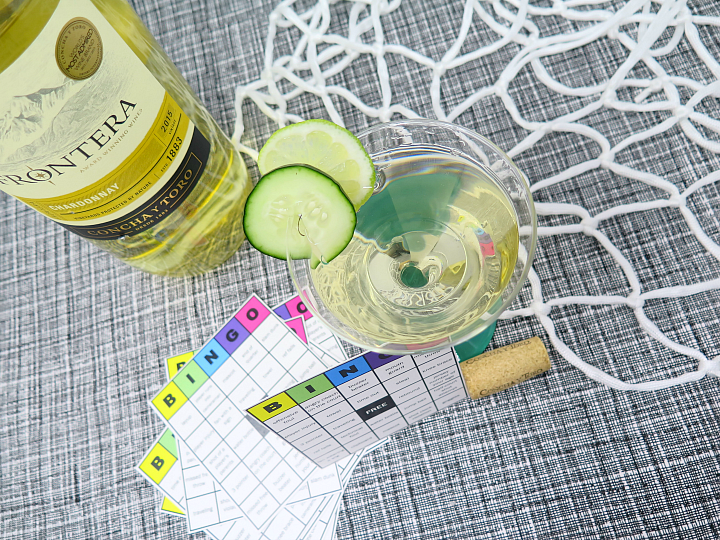 We made this delicious Frontera Chardonnay Al Fresco. An extra bonus is that instead of just having one beverage to serve our guests we technically had two – wine and a wine cocktail. 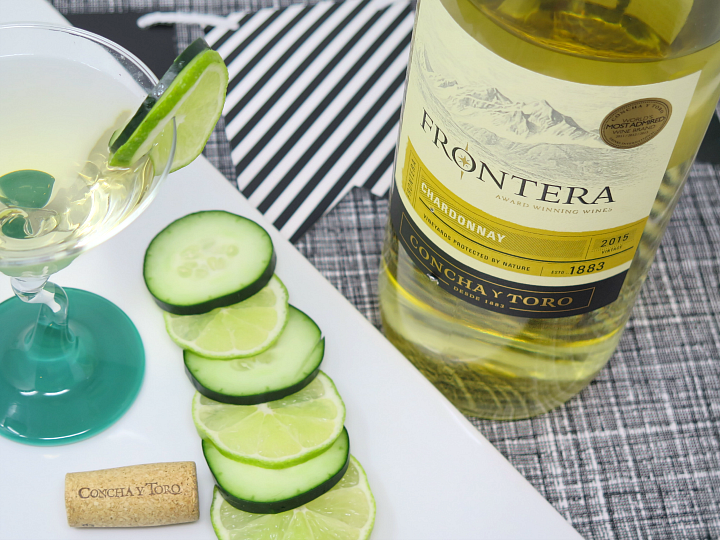 Frontera wines are great to serve for parties like this or to pair with game day recipes. 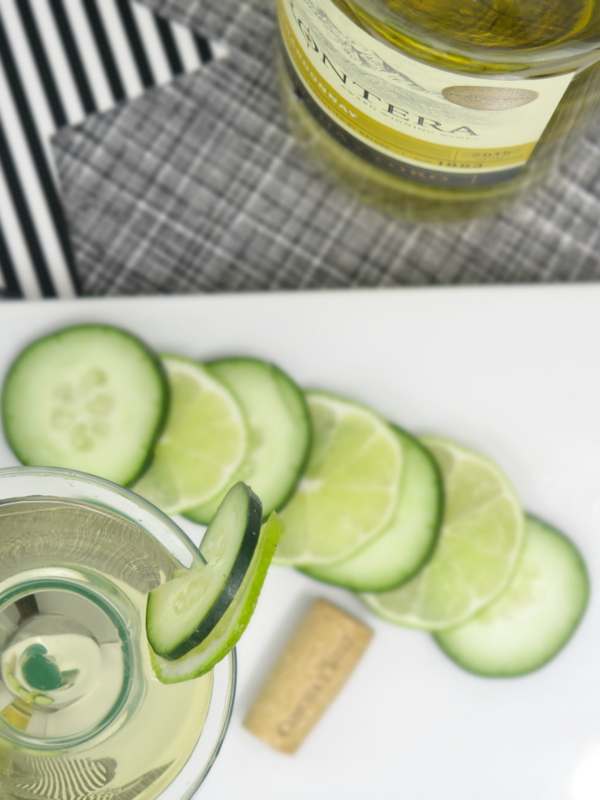 Muddle the cucumber, lime juice and simple syrup.